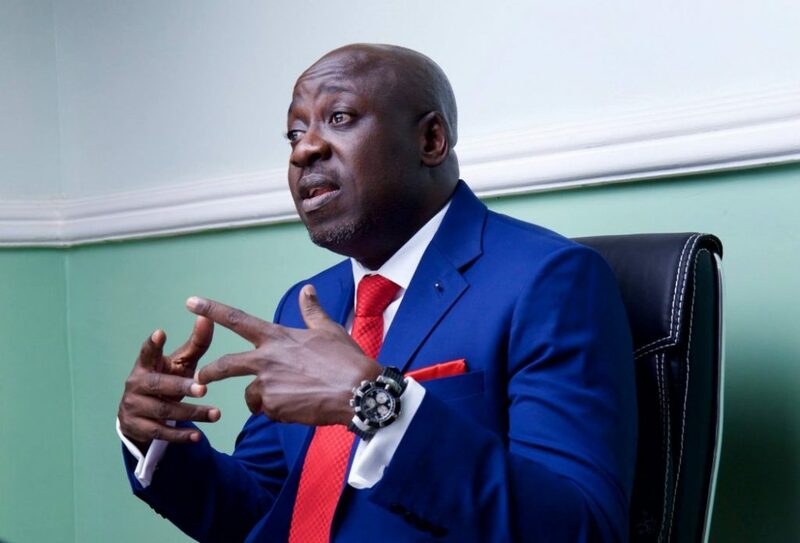 The Chairman Governing Board of the National Sugar Development Council and National Publicity Secretary of the All Progressives Congress (APC), Mallam Bolaji Abdullahi, has refuted the view propagated by the opposition that the Party won the 2015 elections through propaganda. He said the APC remained resolute in its belief that through progressive ideology, the Party will bring about change in Nigeria. Abdullahi stated this while speaking at the inauguration of board chairpersons and members of parastatals and agencies under the Ministry of Industry Trade and Investment at their inauguration ceremony in Abuja on Thursday. He said: “When in 2015, we fought for election, I hear Nigerians say ‘Oh! APC deceived us with propaganda’. We did not deceive anybody with propaganda. We believe that we could actually use progressive ideology to bring about change in Nigeria and in the last three and half years, we have done nothing inspite of difficulties but to try to advance the boundaries of this agenda. “We want to express the appreciation of all the chairmen and members of the board to President Muhammadu Buhari. Mr. President has made everyone of us very proud today. For close to three years, wherever I have gone, I see party members sneaking around almost ashamed to call themselves members of the APC because the people we fought so hard to remove from power, many of them are still sitting pretty in their positions and many members who worked hard for the party are still hanging around and didn’t have a sense of belonging. “At the penultimate APC National Executive Committee (NEC) meeting, President Muhammadu Buhari promised that the board appointments will be made and all the boards will be inaugurated before March 9. Today that promise has been kept. And all of us can now walk around will a little bit of swagger. “When in 2015, we fought for election, I hear Nigerians say ‘Oh! APC deceived us with propaganda’. We did not deceive anybody with propaganda. We believe that we could actually use progressive ideology to bring about change in Nigeria and in the last three and half years, we have done nothing inspite of difficulties but to try to advance the boundaries of this agenda. “You can look at the room today and see amazing ladies and gentlemen with rich pedigree and experience. I was in the Peoples Democratic Party (PDP), when you call this kind of inauguration in the past, I know the calibre of people that will be sitting in this room. But look around you today, senators, former governors and former ministers with rich pedigree, experience and competences. That is in line with the commitment and the ideology of our party.” He said. Abdullahi also said that the newly-inaugurated boards will deploy their political skill to help agencies and parastatals to navigate political difficulties encountered in the course of delivering their respective mandates. “We understand our role, we are not going into these agencies and parastatals to take over the running of the agencies. We are not the executive directors. But we are bringing in our political skill to help these agencies to navigate the difficulties they will have in the political environment and we will use this to help the Honourable Minister of Industry Trade and Investment, Dr. Okechukwu Enelameh deliver on his mandate,” Abdullahi said. While thanking President Muhammadu Buhari for the assignment, Abdullahi said the appointment has brought about a sense of belonging among APC members who worked hard for the Party’s victory during the 2015 general elections. He said the calibre of board members was testament to the progressive ideology of the APC. DAILY POST reports that other APC National Working Committee (NWC) members inaugurated by the Minister of Industry Trade and Investment, Dr. Okechukwu Enelameh included the Deputy National Chairman (South), Engr. Segun Oni (Nigeria Export Processing Zone) and National Organising Secretary, Sen. Osita Izunaso (National Automotive Design and Development Centre).